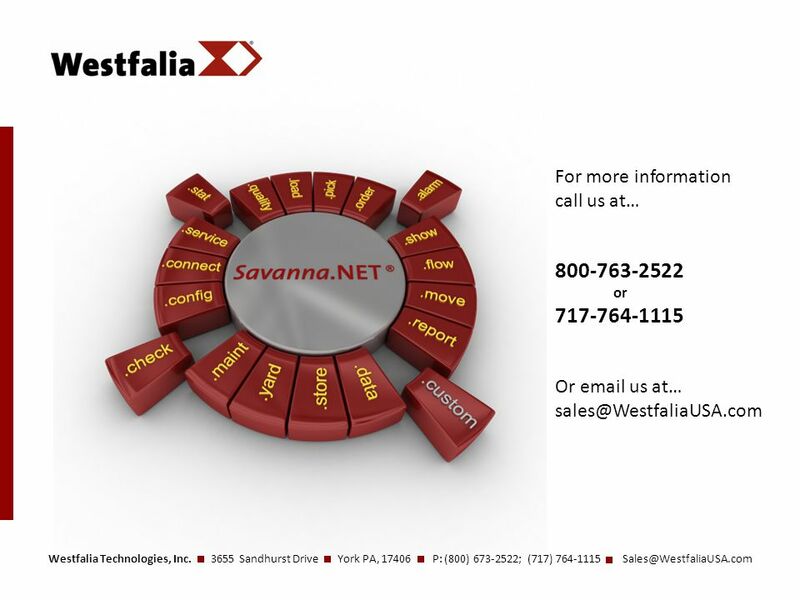 Westfalia Technologies, Inc. 3655 Sandhurst Drive York PA, 17406 P: (800) 673-2522; (717) 764-1115 Inefficient Processes? Inventory. 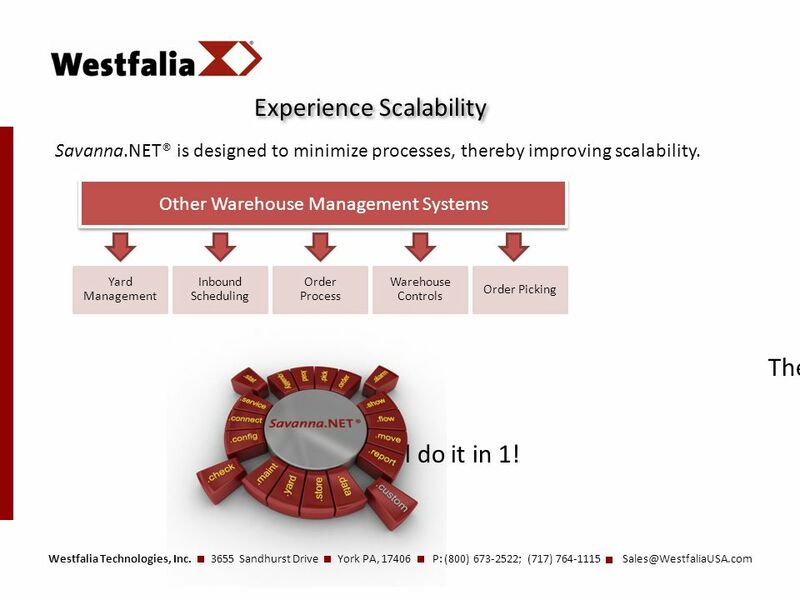 8 Westfalia Technologies, Inc. 3655 Sandhurst Drive York PA, 17406 P: (800) 673-2522; (717) 764-1115 Sales@WestfaliaUSA.com Experience Upgradability Constantly looking for ways to improve your WMS? 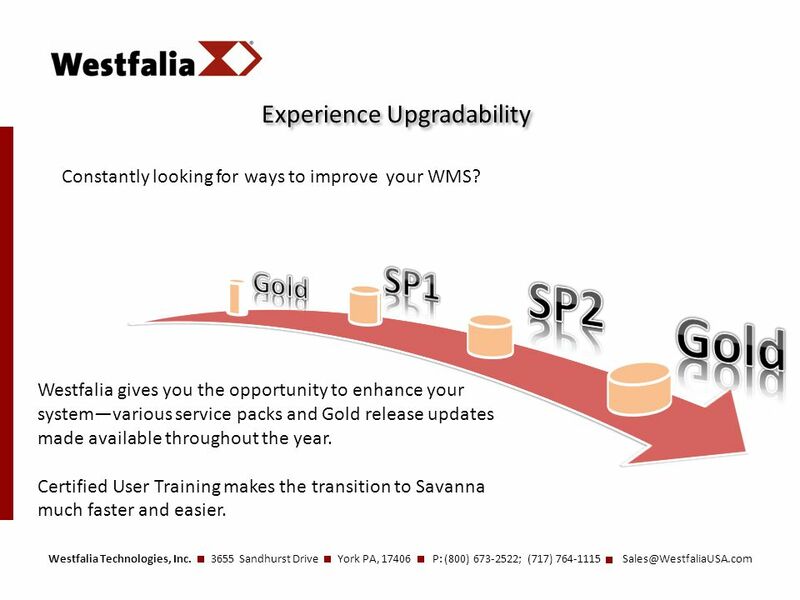 Westfalia gives you the opportunity to enhance your system—various service packs and Gold release updates made available throughout the year. 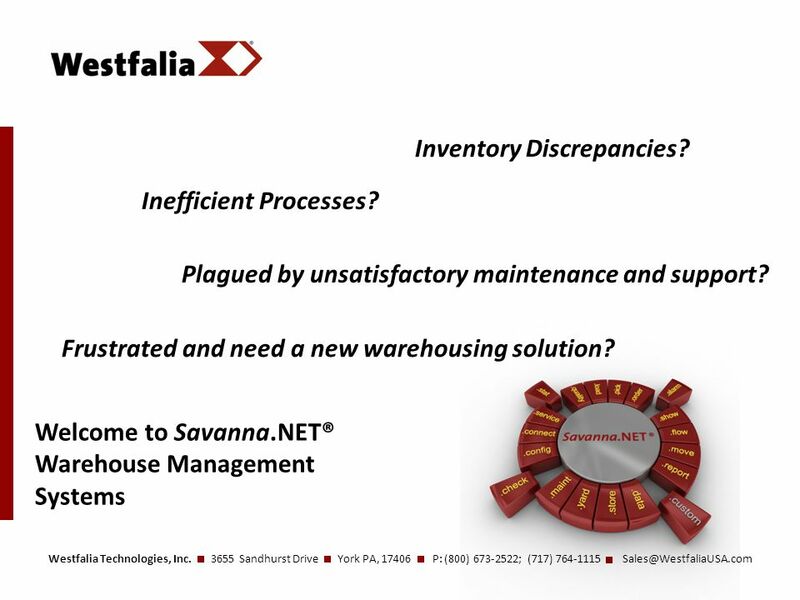 Certified User Training makes the transition to Savanna much faster and easier. 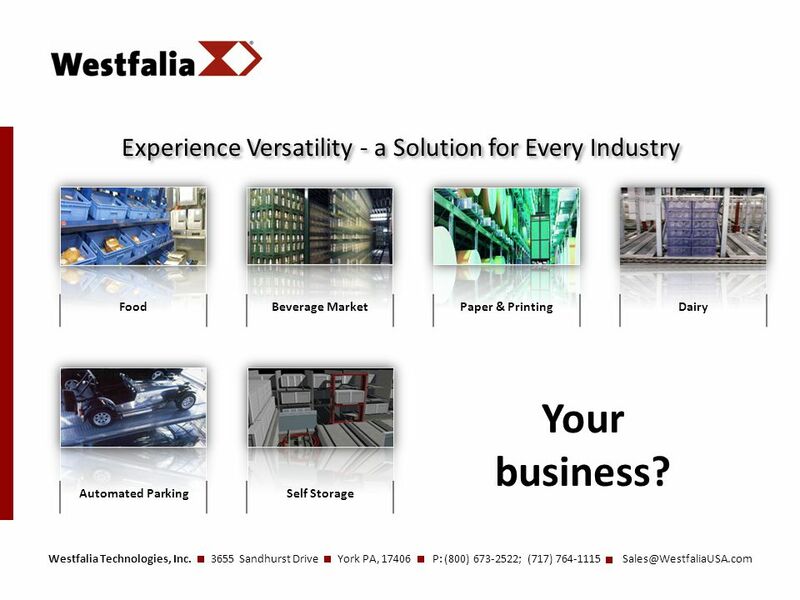 10 Westfalia Technologies, Inc. 3655 Sandhurst Drive York PA, 17406 P: (800) 673-2522; (717) 764-1115 Sales@WestfaliaUSA.com Experience Versatility - a Solution for Every Industry FoodDairyPaper & PrintingBeverage Market Automated ParkingSelf Storage Your business? 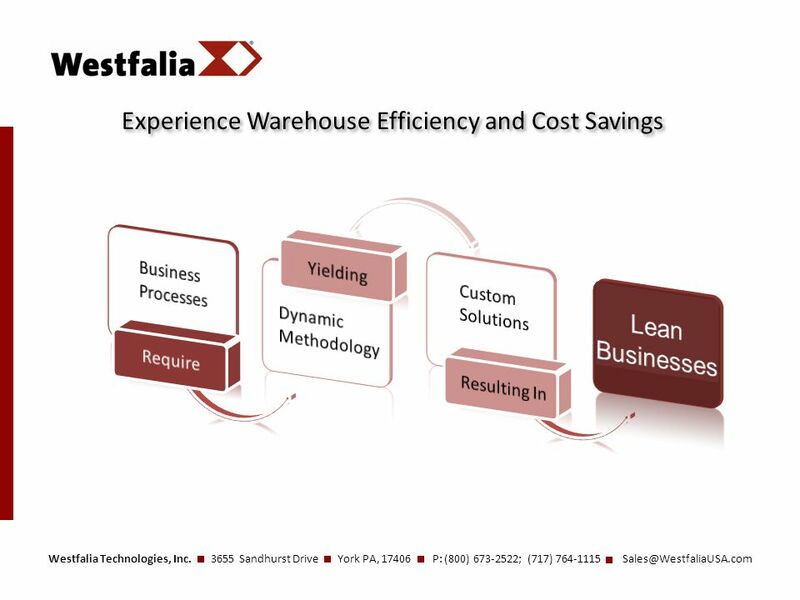 Download ppt "Westfalia Technologies, Inc. 3655 Sandhurst Drive York PA, 17406 P: (800) 673-2522; (717) 764-1115 Inefficient Processes? Inventory." By: All Business Consulting …delivering your route to success! Reseller Program. What Is Document Management System A Document Management System (DMS) is an electronic library of documents. For each document the system. What is On Time Booking? Reservation and distribution system for passenger transport companies (airlines and ferries ) Tool that helps you to manage the. 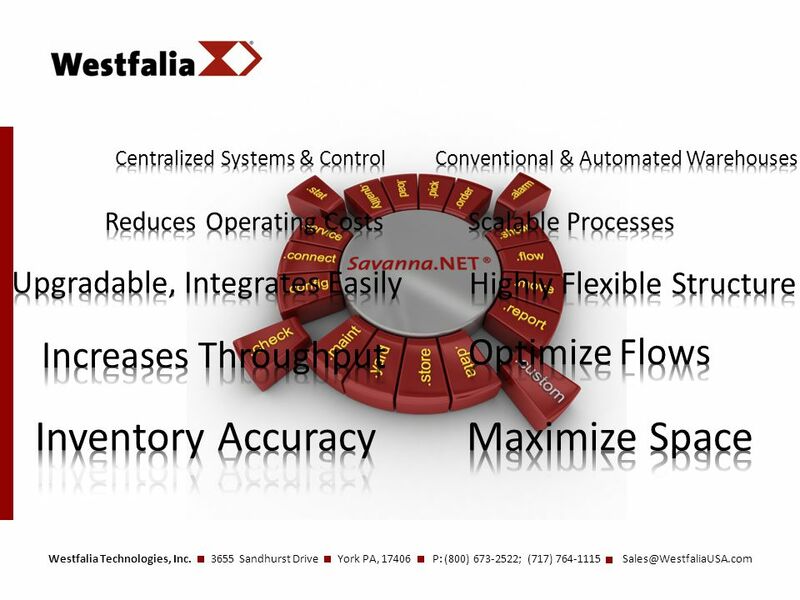 Bringing Visibility and Control to Your Operations. Thanks to Microsoft Azure’s Scalability, BA Minds Delivers a Cost-Effective CRM Solution to Small and Medium-Sized Enterprises in Latin America MICROSOFT. Problem identification  Slow workflow  No data transfer  Mistakes during work. 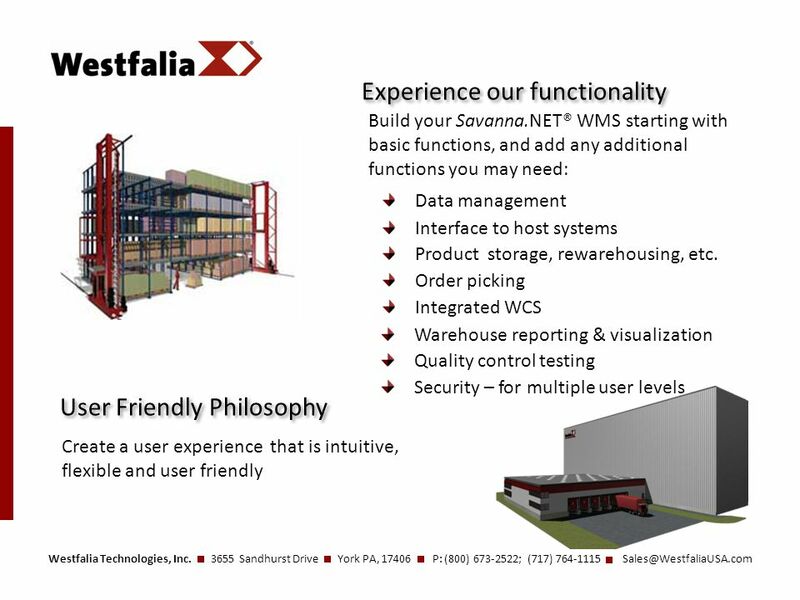 Building & Promoting a Company Store WELCOME!. Tanya Ignacek, BrightStores, Inc. Director of Sales & Operations Tanya Ignacek, BrightStores, Inc. Director. 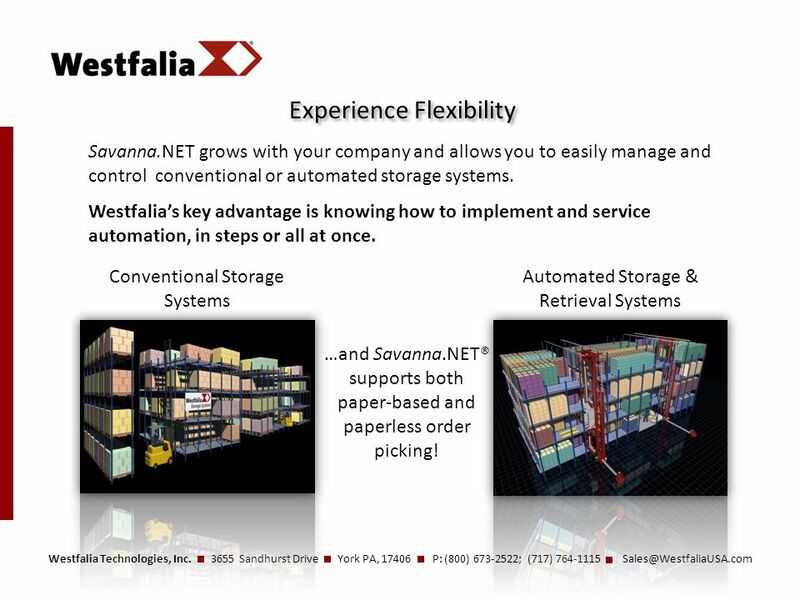 Automate Integrate Innovate fenyaAST : Asset Tracking Made Easy. Case Study By: Susan Gulick Principal Consultant – Solutions Partners, Inc. May 18, 2005 Oracle Self-Service HR. Paperless Printing e-paper printing solutions Europe invests in your future. This project is supported by the European Regional Development Fund of the. 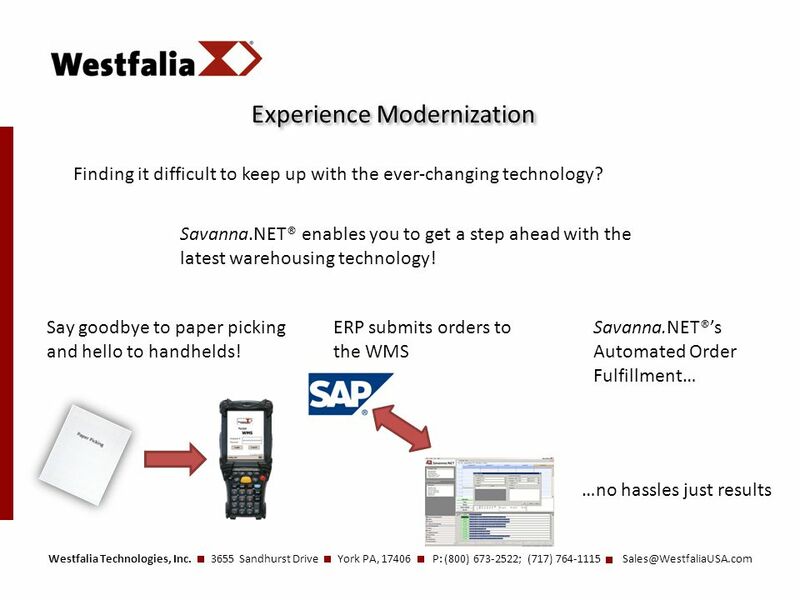 2010 User Conference April 23 rd – 25 th, Philadelphia, PA Pick, Pack & Ship / Fulfillment Sunday 10:30 – 12:00 PM Presented by: Kevin Horowski, Senior. McGraw-Hill/Irwin © 2006 The McGraw-Hill Companies, Inc. All rights reserved. BUSINESS DRIVEN TECHNOLOGY Chapter Eleven: Building a Customer-Centric Organization. 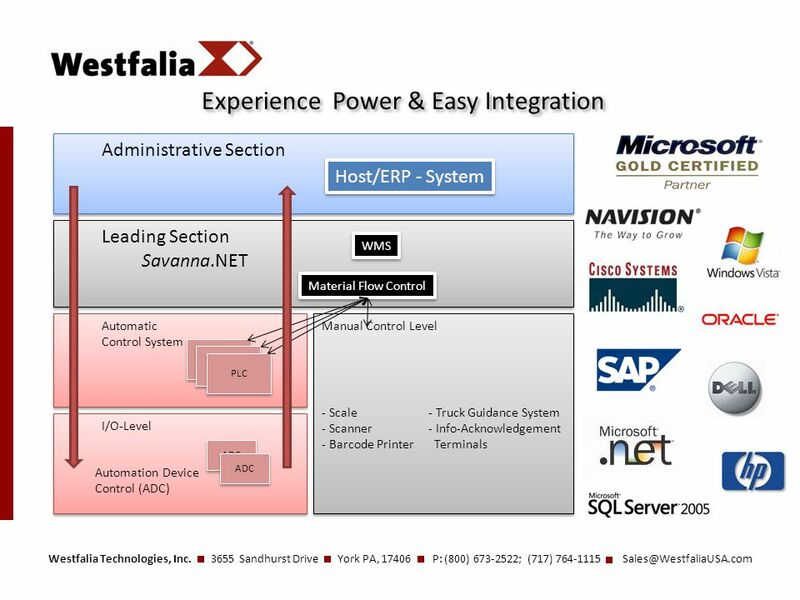 PROFITABLE INVENTORY CONTROL SYSTEMS Your Complete Software System Integrator VICSSQL – Visual Inventory Control System – SQL. For more profitable Business Management Have you used your IES today? Inventors of Software Established 1994 to bring you better, more productive and more. An Enterprise Platform Copyright © 2002-2008 Impact Technologies Group, Inc. | All Rights Reserved | www.bmcprofiles.com | Ph: 01743 248515.